CALVING EASE. Low to moderate birthweights. FERTILITY. Wagyu bulls reach puberty early, are very fertile, and have a strong libido. At maturity, they can service 50 cows--twice as many as bulls from other breeds. LONGEVITY. Wagyu are fertile into their late teens--much longer than other breeds. HARDINESS. 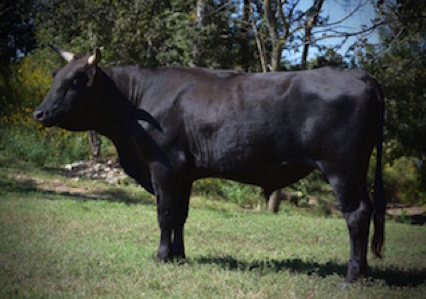 Wagyu adapt to various climates and thrive in hot weather. Black Wagyu tolerate tropical climates much better than other black-hided breeds because of their origins in hot and humid regions of Japan. DOCILITY. Friendly and curious, Wagyu bulls have an easy going temperament and are among the most gentle of breeds. 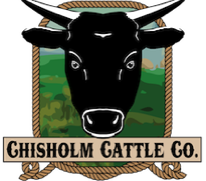 This pays off in the feedlot with better performance, improved carcass merit, and reduced treatment costs. IMPROVED QUALITY GRADE. With their unique genetic ability to accumulate marbling, Wagyu cattle produce the highest percentage of prime carcasses. Known as Kobe Beef in Japan, Wagyu is renown for its rich, buttery flavor, tenderness, and juiciness. BETTER YIELD GRADES. Wagyu have less back fat and larger rib eye area for any given carcass weight, which results in a better yield grade. MEAT TO BONE RATIO. Due to their quality and refinement of bone, Wagyu have a much better meat to bone ratio than most other breeds and will pass this on to their calves. BETTER HYBRID VIGOR. Because they are genetically distinct from British, Continental, and American breeds, heterosis can be maximized by using Wagyu in a crossbreeding program. HEALTH BENEFITS. Beef is a significant source of healthful fats, including monounsaturated fat and conjugated linoleic acid. Wagyu beef is even better! It contains a much higher ratio of MUFA to saturated fat and it has been shown in human studies to improve cholesterol levels. MUFA’s primary component, oleic acid, is also associaterd with the sublime umami flavor and melting tenderness of the cooked beef. Compared to ordinary beef, Wagyu beef has 30% more CLA, which studies have shown reverses diabetes symptoms, reduces body fat, and deters the buildup of arterial plaque. Wagyu beef is the answer for today’s health conscious consumer. 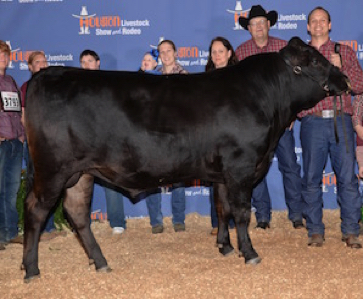 SEE OUR WAGYU BULLS FOR SALE.